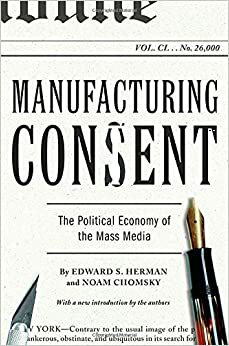 In the book, the authors put forward their 'Propaganda Theory' in which they outline the dangerous possibility of political parties controlling the mass media to move public opinions in their favor being a real scenario. In fact, not a scenario, but an everyday occurrence. The book is heavy with lots of facts and figures. But, the book is also an eye-opener. If the numbers presented are true and have not been misrepresented - then there's a very dangerous thing happening in the world - people falling for a psychological trap. This book may change your world-view and your opinion on several matters - you may just start to view the United States as the single largest sponsor of terrorism on the planet. Gets a Green for shining some light on a very dark side of the world!